Stephanie was on the founding team of Cambridge Technology Partners (CTP), a visionary startup in the tech space that was one of the first entities to foresee the transformation from mainframe-centric solutions to client-server architecture and packaged solutions. She previously was Co-Founder, CEO, and Director of Surebridge, Inc, a web-based software provider which was ultimately sold to Time Warner, Inc. She has served as Acting Executive Director at the Tobin Project, a nonprofit organization that sits on the forefront of major research initiatives that address some of society’s most pressing problems and helps transform public policy debates, inspired by economics Nobel laureate James Tobin. She currently serves on their Board of Directors. Stephanie received a “Top 40 under 40” award from the Boston Business Journal in 1999. She serves on the President’s Council of Cornell Women and is a co-Master of Cabot House at Harvard University. She has consulted with clients ranging from early stage to established organizations in the nonprofit, technology, and healthcare sectors and serves on several social enterprise boards. Stephanie received her BS in Applied Economics with a concentration in International Relations from Cornell University, an MBA from the Harvard Business School and an MPP from Harvard’s Kennedy School of Government. Fran has been with Gold Crown since the Enrichment program began in 2004. Since then she has overseen the day-to-day operations including daytime elementary school classes, The Clubhouse, and fundraising/development. After teaching pre-school for four years, Fran returned to school to receive her teacher certification, and became a Title One reading teacher and Literacy Coach for Jefferson County (Colorado) for nine years. At Gold Crown, Fran led a needs assessment for the planning, designing, and implementing of the Enrichment programs. She worked to develop a relationship with Jefferson County schools to establish daytime programming which to date has served over 600 students. Under Fran’s direction, Gold Crown Enrichment was awarded licensing to become a member of The Clubhouse Network, which today is the program Gold Crown is most proud of. Fran received a marketing degree from The Fashion Institute of Technology from NYU in New York City. Since co-founding Charles River Ventures in 1970, Rick has played a major role in the firm’s development into one of the country’s major venture firms. For the last 20 years, Rick has focused on investments in the fields of communications and information services. Among the successful investments he has led on behalf of Charles River are: Cascade Communications, Chipcom Corporation, Epoch Systems, Abacus Direct, Summa Four, Concord Communications, Prominet, Aptis and Sonus Networks. Apart from venture capital, Rick is active in community organizations, serving as chairman of Boston’s nationally recognized Museum of Science, chairman of the Entrepreneur’s Foundation of New England, vice chairman of Sea Education Association and director of The Boston Foundation. He is a past chairman of the board of the Middlesex School. Rick holds a B.A. in History from Harvard College and an MBA from Boston University. Karene-Sean Hines has taught English and Language Arts at the Timilty School in Roxbury, MA, for nearly 20 years. She is also licensed in Special Education and English as a Second Language. Karene was a Teach Plus Policy Fellow, has served on a number of Massachusetts state-level groups, and led Boston’s National Board for Professional Teaching Candidate Support Program for nine years. For the past 2 years, she has served as the Director of Collaborative Partnerships and Innovation at the Timilty. Her focus is connecting corporate and nonprofit partners to support school-based initiatives. Karene is a mid-career changer who practiced law for 15 years and also holds an MBA. As an educator, she is a strong advocate for community and youth, as well as the proud parent of a long-time Clubhouse member. Karene holds a B.A. from Wellesley College, an MBA from UMass Boston, and a JD from Suffolk Law School. Amon directs the Extending Access to STEM Empowerment (EASE) Lab at Olin College, where projects explore the ways in which spaces, computational tools, and activities can enable young people to re-design the world around them and transform how they think and learn. His research and teaching are informed by his work in the Human-Computer Interaction (HCI) domain, drawing heavily from his specialization: developing tangible interactive systems for making and learning. He is a co-inventor of several tools that have become staples in both formal and informal learning environments, such as the Scratch programming language. Amon has established local and international hubs for learning, making, and digital fabrication, shaping the ways in which networks such as Computer Clubhouses and Fab Labs have evolved. His international recognition includes a designation as a Fulbright Specialist/Grantee. A champion in the Maker Movement, Amon has also authored computing curricula for K-12 classrooms. He contributes to multiple research communities, particularly those that focus on tangible user interface design, interaction design and children, and digital media and learning. A patent holder, Amon earned a Ph.D. in Media Arts and Sciences from MIT; a M.S. in Human Computer Interactions from Georgia Institute of Technology; and a B.S. in Computer Science from the University of Southern California. Steve works full-time as a photography and video specialist at the Federal Reserve Bank of Boston after working in network security at Lycos from 2008-16. He was a founding member of the very first Clubhouse in 1995 and remained involved for many years as a member. Today he is active in the Clubhouse’s Alumni Network and continues to mentor young members whenever he can. Steve’s advocacy for The Clubhouse as a place that makes a difference in young people’s lives has taken many forms. 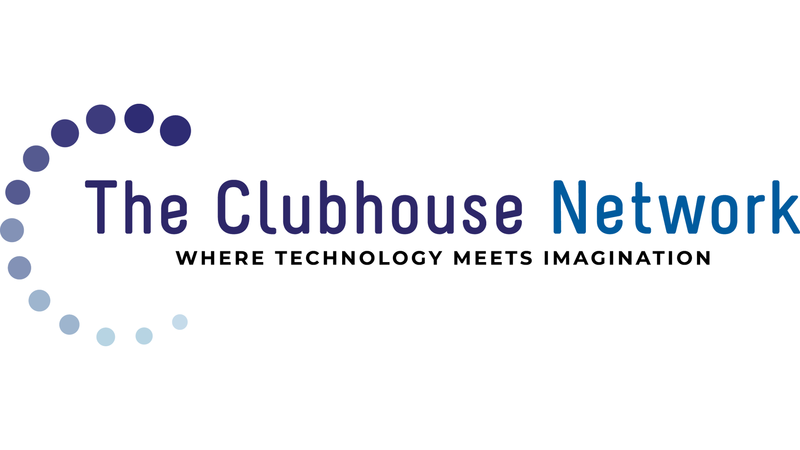 At the launch of The Clubhouse’s 16-year partnership with Intel in 2000, he shared the stage with the late Senator Ted Kennedy, then-CEO Craig Barrett of Intel, and comedian Sinbad – and stole the show, giving an impassioned speech about the impact of The Clubhouse on his life. He also represented the program in Washington DC in 1997 when The Clubhouse won the Peter F. Drucker Award for Nonprofit Innovation. A talented professional photographer and videographer whose work has been featured around the world, he is creator of the highly acclaimed “No Make-up Series,” in which he photographed more than 100 women without cosmetics. “This project started as an idea to celebrate beauty, and now it has become something bigger than myself and my art. It’s a vehicle to showcase natural beauty, but also to change the narrative on how we define beauty as a whole.” Widely traveled, Steve has had the opportunity to work with talent such as Jasmine Solano, Lisa Bello, Louie Bello, local Boston designers and various actors across the US and beyond. As head of the Lifelong Kindergarten Group at the MIT Media Lab, Mitchel explores how new technologies can engage people in creative learning experiences. In 1993, along with Natalie Rusk, he co-founded the Computer Clubhouse project. Resnick’s research group has also developed the “programmable brick” technology that inspired the LEGO Mindstorms robotics kit, and Scratch, an online community where children program and share interactive stories, games, and animations. Mitchel worked as a science-technology journalist from 1978 to 1983, and has consulted throughout the world on creative uses of computers in education. He is author of Turtles, Termites, and Traffic Jams (1994), co-editor of Constructionism in Practice (1996), and co-author of Adventures in Modeling (2001). In 2011, Resnick was awarded the McGraw Prize in Education. He earned a BA in Physics at Princeton University, and MS and PhD degrees in Computer Science at MIT. Larry is a globally known expert on public relations and marketing services. Among the companies he has counseled are ARM, AT&T, Boston Scientific, Coca-Cola, General Electric, General Motors, IBM, John Deere, Kaiser Permanente, Microsoft, PTC, Pittsburgh Steelers, SAP and Verizon Wireless. In 1987, Larry started his own public relations company, The Weber Group, which within a decade became the world’s largest public relations firm. The Interpublic Group of Companies purchased The Weber Group in late 1996, and in early 2000, Larry was named chairman and CEO of Interpublic’s Advanced Marketing Services, a $3 billion unit with 12,000 people. In 2003 Larry founded Racepoint Global, an integrated marketing communications agency with public relations, marketing, creative and media capabilities. Larry serves on a number of boards of corporations, non-profits and academic institutions. He is the Co-founder and Chairman of the Board of Directors of the Massachusetts Innovation and Technology Exchange (MITX). He also serves of the Board of Directors for Pegasystems, Inc. (PEGA) in Cambridge, Mass. and Macromill Group (TYO:3730) in Japan. He is a guest lecturer at Tuck School of Business at Dartmouth College. Larry has authored five business/marketing books, including Marketing to the Social Web: How Digital Customer Communities Build Your Business, Sticks & Stones: How Digital Business Reputations Are Created Over Time…and Lost in a Click, and The Digital Marketer (all Wiley & Sons). Andrea Wood is Head of Social Impact and Executive Director of the Best Buy Foundation. Her responsibilities include developing and implementing Best Buy’s signature philanthropic programs including Best Buy Teen Tech Centers, which are state-of-the-art technology centers that are members of The Clubhouse Network and help youth develop tech skills to prepare for college and careers. Andrea also leads Best Buy’s Geek Squad Academy program, which provide free tech education events and tech summer camps for youth in underserved, low-income neighborhoods across the country. Prior to coming to Best Buy, Andrea served as Senior Manager in Community Relations for Target Corporation. Her responsibilities included overseeing Target’s multi-million dollar social service giving portfolio. Andrea has also held Corporate Communications roles at both Target and Travelers. In addition to her work in the corporate sector, she has more than a decade of experience in nonprofit management and fund development. Andrea holds a M.A. in Public Administration from the University of Minnesota’s Humphrey Institute of Public Affairs and a B.A. in English Literature. For fun, she teaches group fitness classes at Lifetime Fitness and likes to hang out with her daughter, who is in her third year at Macalester College.